09.18.18 Final knee doctor visit and a wonderful 64th birthday! Tuesday, September 18, 2018 – Last Wednesday Roy and I visited with Dr. Peter Blessey at Ochsner in Covington for my final post surgery visit. He said my knee healing is going really well. It will probably be another 6 weeks before everything inside my knee is completely healed. My knee reminded me the other day that it is still healing. I did too much work in our vegetable garden trying to get the row hills formed and some of the plants in the ground. 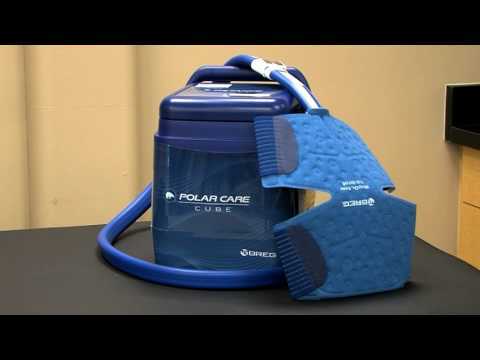 I needed the ice chest connected to the ice pad around my knee for a while that evening. I am glad that is something we get to keep since Roy and I get crazy from time to time and way out do what we are physically capable of. We will surely need it again in the future! The pictures below were in the doctor’s office. 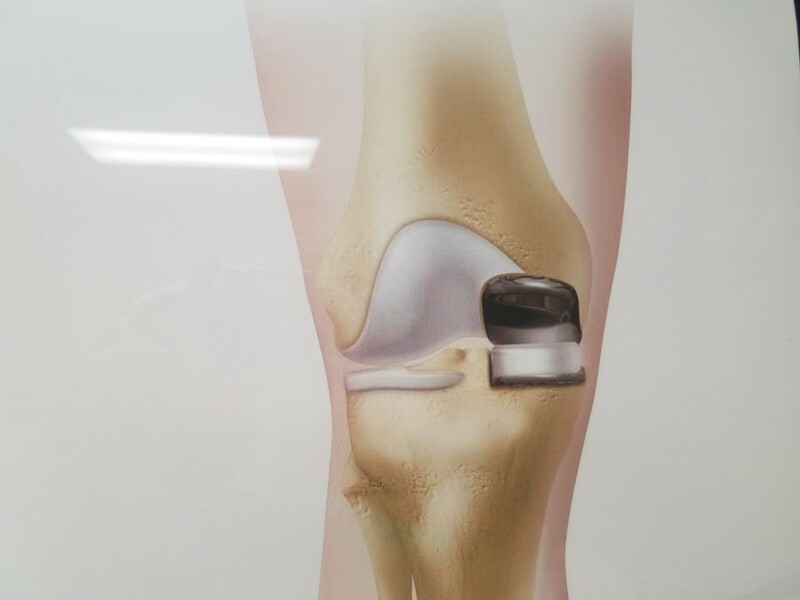 Since several people have asked me what a partial knee replacement is all about and these pictures describe it well I am sharing them here! These below are up close photos of what’s above. 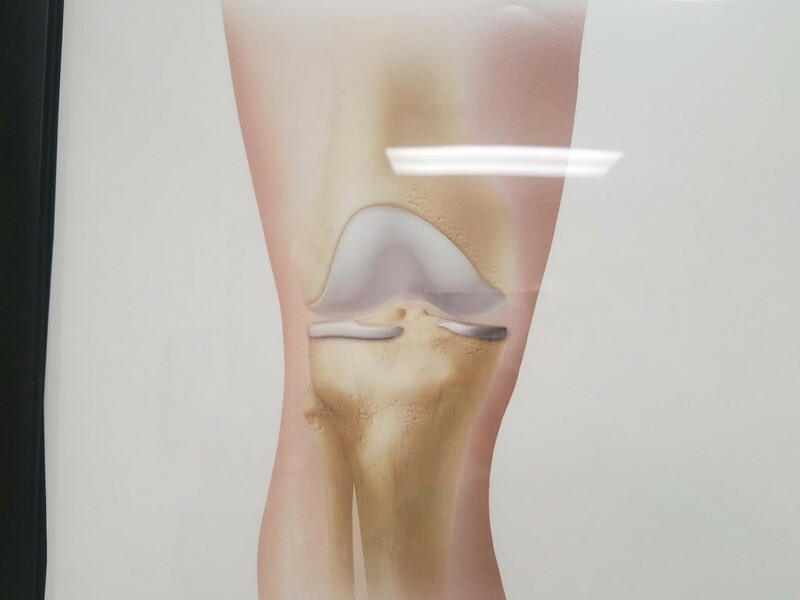 This first one is a normal knee that needs no surgery. This one shows a knee eaten up with arthritis that is in great need of a partial knee replacement. This one shows from the front the knee with all the arthritis damage removed and the new partial knee put in. So this chapter in my life is over! It’s been a breeze compared to others who have had this surgery. I am thankful to God and to Dr. Blessey that this all went so well. I have absolutely no pain when I walk and am able to walk without limping or waddling now. We’ve had some fun things going on in our life recently that I want to share next. One is the completion of our vegetable garden with everything in place. Another is being invited and going to Madisyn’s Family Dance at her new school. The other was the wonderful restaurant in Amite we recently discovered, Boot Hill. This last couple of weeks have become my birthday weeks and I have so enjoyed every second of it. My oldest son’s family took us to La Caretta in Amite for a wonderfully fun and delicious birthday dinner. This was after an afternoon of having fun with them and the grandchildren and my sister Harriet and brother in law, George. This son doesn’t like photos or names used so while I’d love to show you the adorable grandchildren painting with me and fishing by the pond, just imagine adorable children doing that! If not for that I would have written an entire blog post about that wonderful day and evening spent with our son, his wife, their children, my sister Harriett and her husband George. This Grannie did not stop smiling the entire day! Our youngest son Chip, his wife Misty, and daughter Kallie took us to dinner last Tuesday at the new restaurant I want to write about Boot Hill. I think we were all delightfully surprised at how unique the place is and we all enjoyed getting to visit with each other. Especially visiting with Kallie since her life is so busy right now with high school senior classes, college classes and working way to many hours each week at a local restaurant. She’s adorable and we love hearing all of the updates on her busy life. Having a teen age granddaughter certainly brings a different aspect of grandparenting to our lives and we love it! Chip came to visit with us on his day off. We had fun visiting and he got to see his dad flying his new drone and seeing the videos and pictures the drone sent to his ipad from way up high. I’m hoping Roy will write soon about his new toy that isn’t a toy – far from it! I received a phone call from Chip’s daughter Madisyn during the week inviting me to join her on my birthday day (the 14) at the family dance a t her new school. One of the best phone calls of my life. Yes I’ll be writing about the dance and she gave me permission to do so! It was a perfect way to spend my birthday evening having fun with Roy, Chip, Misty, Kallie and Madisyn! My sister Harriett, our oldest son’s sons family and Chip called on my birthday to wish me a Happy Birthday. I lost count of all the birthday wishes on Facebook! For you non Facebook folks, you don’t know how wonderful it makes you feel to get all that love from friends and family. Chip, Misty and Madisyn all came over Sunday after church with cake and ice cream and dinner got added. I’ve never had such a long and wonderful birthday and it certainly made 64 a great age to be starting! Thanks to all my friends and family who helped making this 64 year old feel very blessed and loved!